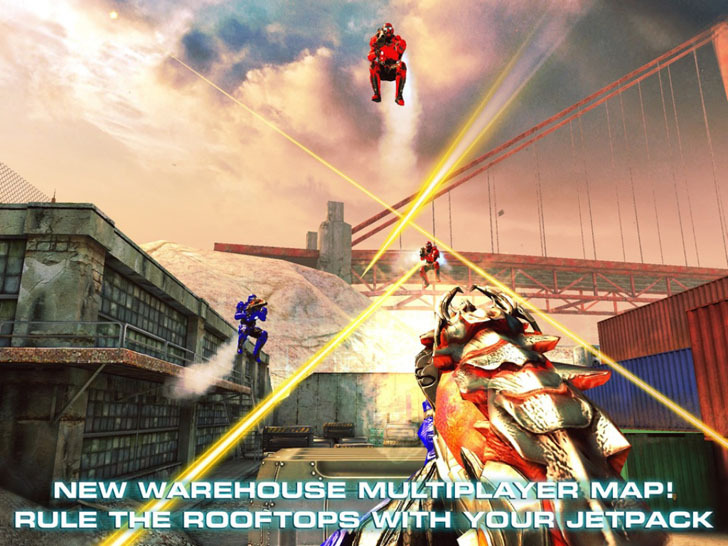 Post written for the website Freeapps.ws: The team at Gameloft has created a very impressive FPS shooter for the tablet / smart phone world titled N.O.V.A. 3 - Near Orbit Vanguard Alliance! It packs impressive graphics, a good story, intense campaigns, exciting multiplayer battles and plenty of weapon upgrades to keep you on top of your game! You can even communicate in real time with other players as you compete online! If you're a Halo nut or enjoy playing futuristic shooters, this ones for you! It's free for a limited time so download it now and give it a go! N.O.V.A. 3 - Near Orbit Vanguard Alliance App: Free for a limited time! This app is available on iTunes, Google Play And Amazon!